Welcome to the new Commonwealth-Morningside neighborhood association website. Vote on your favorite logo concept for the neighborhood! Form not showing up on your mobile device? Click the button below to open the form in a new window. The neighborhood that is known in today as “Commonwealth-Morningside” was originally mapped out in the mid-late 1930’s on the eastern edge of Charlotte, NC and was part of the Chantilly neighborhood. There was once a golf course where Veterans Park, the armory, and the new “Village at Commonwealth” apartments now stand. In the mid 1940’s when the neighborhood was still very new, plans were made by the mayor and city council to build a “cross-town boulevard” and path included Westmoreland Ave. This essentially divided the Chantilly neighborhood. That new higher volume road became Independence Blvd. Today, our bordering neighborhoods are Plaza Midwood on the north side of Central Ave., Chantilly on the south side of Independence, Commonwealth Park to the east, and Elizabeth to the west. Location, location, location! We’re proud to be right in the middle of everything. 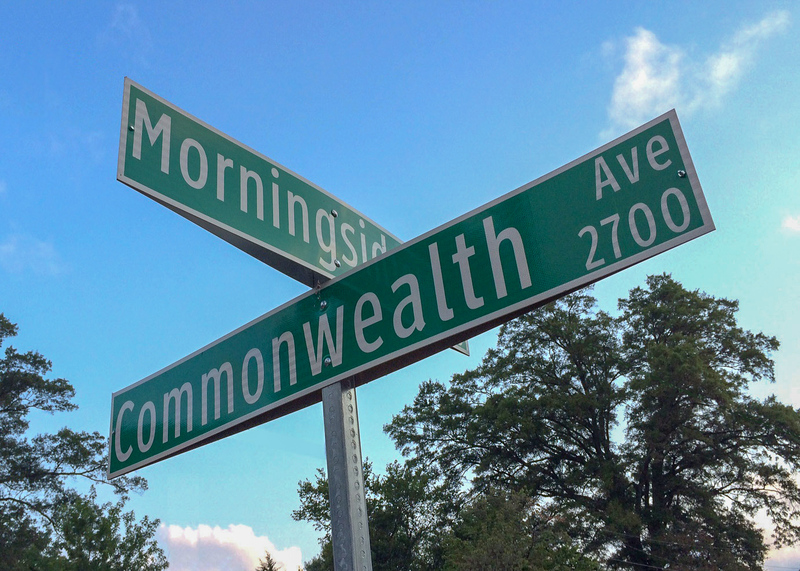 Commonwealth-Morningside is convenient to downtown (or uptown if you prefer) Charlotte and all major freeways. Our community is very walkable/bikeable and getting more so all the time. Today, the borders of our wonderful neighborhood are Independence Blvd. (Highway 74) to the south, Central Ave to the north, Briar Creek (the actual creek) to the east, and the railroad tracks behind the shopping center near Hawthorn Ln. as the western border of what is technically the Commonwealth-Morningside neighborhood. The western end of the neighborhood is mostly commercial use and supports a strong business district on both sides of Central Ave with many popular, locally owned establishments. The Plaza Midwood Merchants Association serves as the organizing body for the business community. With Charlotte’s explosive growth in recent years and our prime location, the Commonwealth-Morningside neighborhood has seen our share of change along with most of the city. With the building of the Village at Commonwealth apartments in the middle of the neighborhood, the official population and demographics have shifted quickly, but the overall feel of the single-family, tree-lined streets has remained similar in a good way. We are fortunate to have Veterans Park right in the middle of the neighborhood, which is enjoyed by neighborhood residents and many east Charlotteans alike. There are about 300 single-family homes in the neighborhood. 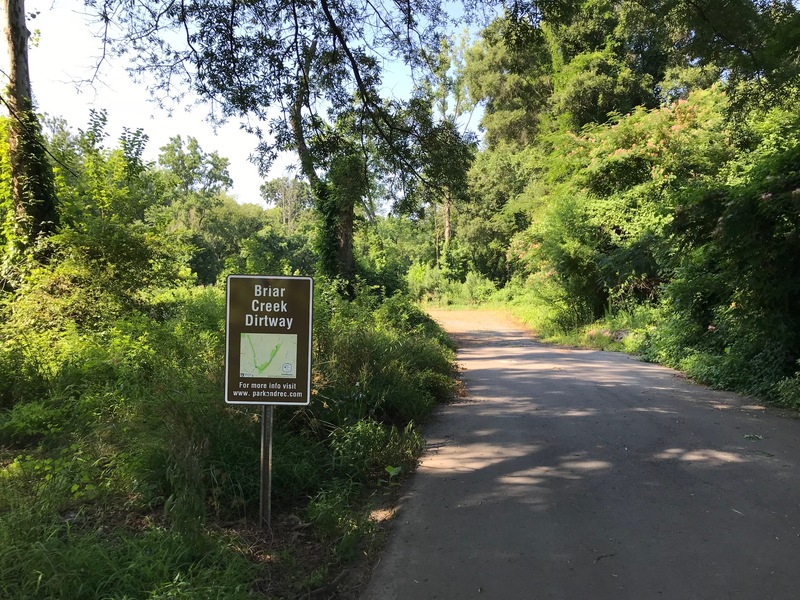 In the spring of 2018, the Commonwealth Morningside Neighborhood Association, with help from folks in Plaza Midwood, Commonwealth Park, Chantilly, Merry Oaks, Charlotte EAST and Sustain Charlotte worked with Mecklenburg County staff to have county-owned land along Briar Creek on the eastern edge of the neighborhood be designated an official “DIRTway.” This area will eventually be a part of the Briar Creek Greenway and ultimately part of a larger, truly connected greenway system around the county. Residents are thoroughly enjoying the DIRTway now and very much looking forward even greater connectivity and convenience when the new Chantilly Ecological Park and beyond can be accessed underneath Independence Blvd! Subscribe to our neighborhood email newsletter for updates, news, and current-events in Commonwealth Morningside.